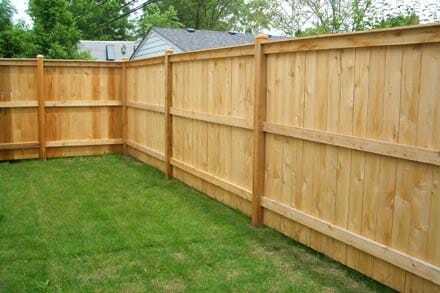 St. Louis Fence Co. provides a wide variety of wooden fencing. Wooden Fencing is a great option for home installation. The natural look can do wonders for the curb appeal of your home and the ability to custom design a wooden fence to complement your property make this a perfect option for a homeowner who knows exactly what they want. At St. Louis Fence Co. we only use the highest quality of wood and will find a wooden fencing solution that fits your needs and budget. You want you to love the way your wooden fence looks and will do whatever it takes to make your property look amazing. Call us today to set up a free consultation and one of our technicians will come to your property and show you some samples of the wooden fencing that we can provide.